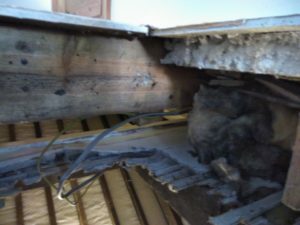 To the untrained eye lofts can look a right mess and it can be difficult to envisage the end result. 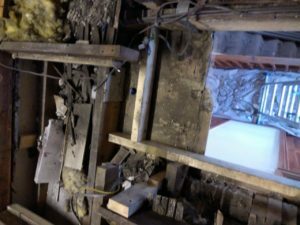 Take a look at these before and after pics from Mr Fenton’s in Tadcaster and you can see the possibilities that can be delivered in just one day! Some real proper joinery work here delivered by Mark and Jonny. Well done the YLL lads! Yorkshire Loft Ladders specialise in turning your loft into a well-lit, easily-accessed and boarded storage space – somewhere you can safely keep your valued possessions, suitcases or Christmas decorations! We install loft ladders, boards and lights cleanly, quickly and efficiently – all in less than a day! 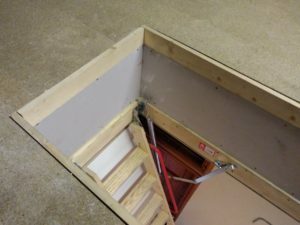 We can create a new loft hatch and we can recommend from a range of loft ladders depending on your requirements at prices YOU can afford and our LOCAL installer will leave your house as tidy as they found it. Yorkshire Loft Ladders have installed over 1000 loft packages in many local homes across Yorkshire, we pride ourselves on the quality of our workmanship with much of our work coming from referrals from our own very happy customers. 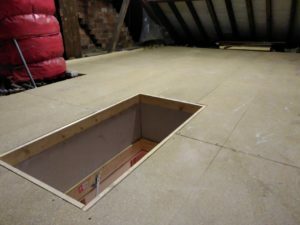 Remember, our packages start at just £277 + VAT which includes a 2 section loft ladder, 50 sq ft of boarding and a light, all fitted by our time served tradesmen.